I like to think of those of us who were introduced to reading and literature through Harry Potter or The Lord of the Rings as the connoisseurs of the fantasy genre. For the past two decades, bookstore shelves have been adorned with the adventures of more spell casters than you can shake a wand at. Purchase book on Amazon, justifying spending up to €10 on another book despite the fact that you have several unread titles on your ‘To Read’ pile by the fact that payday is just around the corner. Contemplate that you might have a problem but ultimately repeat process in up to two weeks. I visit Old London Town at least twice a year, so the premise of Schwab’s novel was enough to ensnare my attention: Four parallel worlds with very little in common except that each has its own city of London (Grey, Red, White and Black). The story is told from the perspective of the two main characters. 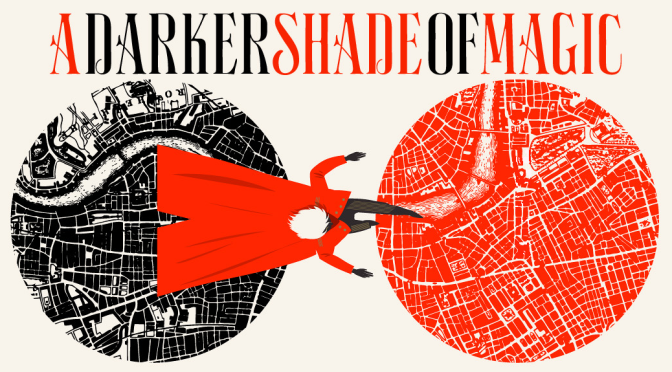 Kell, an Antari – a chosen magician with the unique ability to travel between the different worlds – is in the service of his adopted family, the royals of Red London. Delilah Bard is a thief with a fondness for knives, and dreams of seeing the world beyond her home. The novel being divided into parts makes the almost Tarantino-style protagonist perspective swap easy as well as making the book a handy read, if like me you like to read a little everyday rather than one long binge. Schwab’s wonderful writing style really brings each character to life, as two imperfect heroes who have led completely different lives share a kindred spirit in never really belonging anywhere. She has also created a set of villains whose characters range from sympathetic but irredeemable to just plain detestable, all wrapped in a magical fantasy world (or worlds) that is fully developed from the first chapter. With page turning action scenes, a strong plot, fantasy languages for dedicated magic linguists and even some LGBT characters, this series is sure to have something to satisfy even the hardest to please connoisseur. In conclusion, V.E. 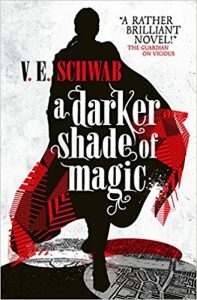 Schwab’s A Darker Shade of Magic is a great opening book to a series that all fantasy fans will enjoy thanks to its memorable cast of characters, colourful worlds and excellent writing. It can also be read as a standalone novel if you don’t feel ready to enter into a new serious fiction relationship. Personally, I purchased the other two books immediately after finishing the first, and look forward to reading them again. Previous Previous post: Welcome (back) to University!